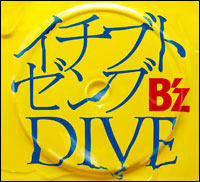 The other single to be featured on the double A-side, along with the previously announced “DIVE,” is a new song titled “Ichibu to Zenbu” (イチブトゼンブ). The song will serve as the theme to Yamashita Tomohisa’s new drama, Buzzer Beat, set to begin airing on the 13th of July. As was announced earlier,”DIVE” is currently being used as the theme for the Suzuki SWIFT adverts in Japan. As something of a treat for fans, the third beat–“National Holiday”–is the song previously heard at the closing of the ACTION tour shows as the band left the stage. Lastly, as can be seen in the preview video for “Ichibu to Zenbu” on the official website, world-acclaimed drummer Chad Smith (known for his many years with the Red Hot Chili Peppers) will be featured in some capacity on at least one of the tracks. UPDATE: Juan Alderete, most recognized as bassist from The Mars Volta, provides the bass on the song. This isn’t the first time Alderete has worked with the band, however–he had contributed on the 2007 album, ACTION, as well. All around, the single definitely seems to be full of rock tunes and should be well worth the money when it comes out in just under two months. NOTE: YesAsia–as of this writing–currently lists the double single for a release on August 15th, but we expect this to be corrected soon.